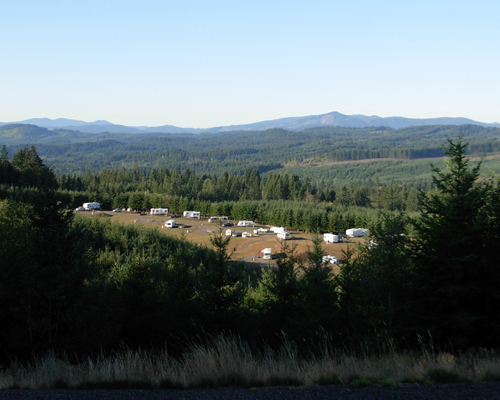 One of the newest state parks in Oregon is L.L. Stub Stewart State Park. We enjoyed a hilly volksmarch walk there last weekend. Map and photos of the L.L. Stub Stewart State Park Walk . “Stub” Stewart was a local lumber company owner who served on the Oregon Parks and Recreation Commission and died in 2005. 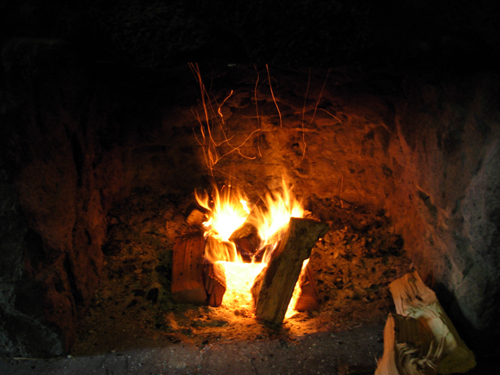 This is a bun-burner of a hike on wide trails. The Banks-Vernonia Linear Park rail trail passes by the park. My walking buddy Will and I explored this park last year when they were still building the camping spots. Of note is that the trailer campsites are larger than my house lot. And you could fit in two of the row houses they are building just south of us! For locavores, there are farm stands along Hwy 47 and Hwy 26. Take the time to stop, enjoy a corn maze at Jim Dandy Farm on Hwy 26 and have some fun! We enjoyed a volksmarch at Heiser Farms, Dayton, Oregon. Here is my AllSportGPS map of the walk. They have a Pumpkin Patch attraction each October and the walk is held about every other year. 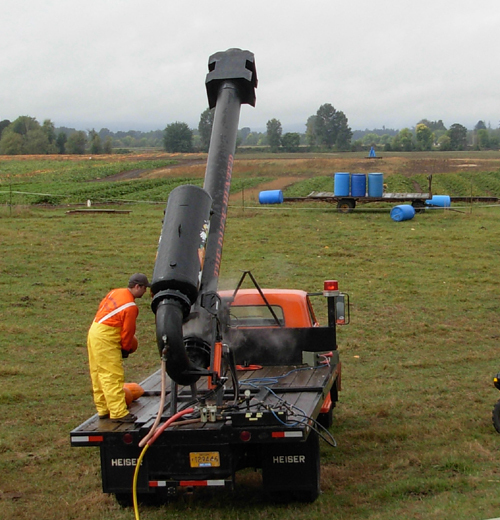 We enjoyed the flat walk on this elbow of farmland in the Willamette River. At the end, we chowed down on pumpkin pie and bratwurst and teased the animals in the petting zoo. 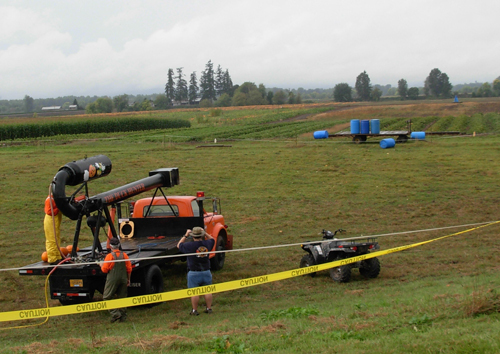 But the big attraction was the Duck Hunter pumpkin cannon. 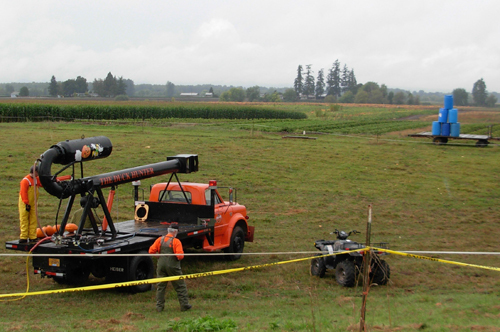 Painted in OSU colors, it lobs pumpkins as far as 1500 feet! While it easily took out the closer target pyramid on the first try, we watched as five or more shots didn’t take out the far pyramid of blue barrels. One pumpkin exploded in midair. Next, load another pumpkin and raise the aim to the tiny, far off blue barrel pyramid. 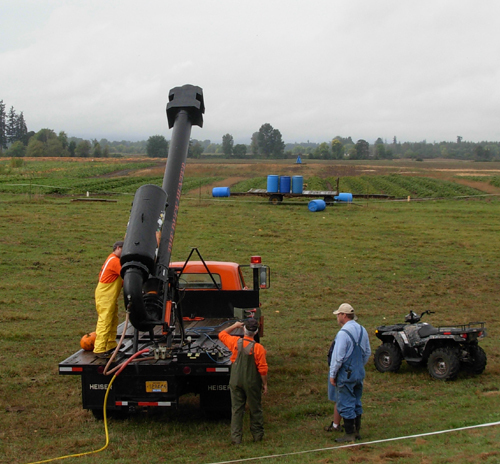 The ammo wagon is full of pumpkins, but no success on the far target this hour. 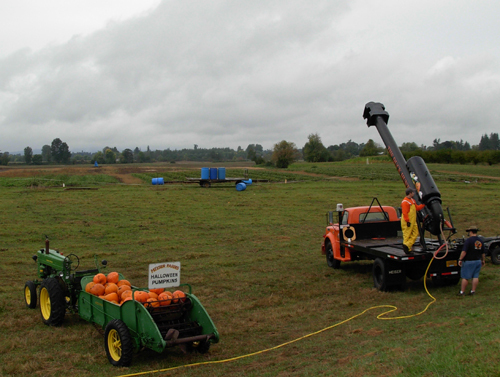 A visit to Heiser Farms Pumpkin Patch can get kids and adults excited about farms. It’s out in the wine country, and I stopped in at two wineries on my way back to pick up my quarterly wine club shipments. My walking buddies and I enjoyed the Sunday Parkways car-free day in North Portland last Sunday. This event was held by the city of Portland to promote walking and biking. I am no stranger to North Portland. One set of my grandparents lived in St. Johns and we visited them each weekend. The University of Portland is my alma mater. And I’ve grunted my way through these streets 7 times for the Portland Marathon, let alone dozens of training walks. It was nice to see the area when it isn’t mile 20 of the marathon and I just want to sit down and die. The walk started from Kaiser Interstate Clinic, near Overlook Park. Immediately I was struck by how many front yard gardens and even parking strip gardens we passed by. I guess this is a big trend for Portland. Last year I heard Mark and Dave on the radio complaining about them, Dave just thought that they made the neighborhood look less classy. I found an interesting selection on Amazon.com, Food Not Lawns: How to Turn Your Yard into a Garden And Your Neighborhood into a Community . Sounds like it’s a movement! Personally, I don’t want my veggies growing where everybody’s dog can pee on them. I’ll keep my veggies out back where I have better control over access to them. We live in a new subdivision and have only a tiny patch of lawn out front anyway. 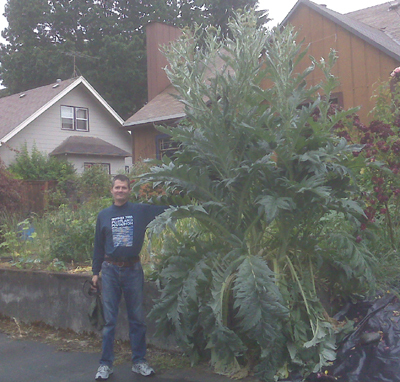 I loved seeing this 10-foot high artichoke, along with other vegetables in one front yard. I can see why the neighbors might look askance!